Location has 5 bar Mobile reception. We are waterfront on Clyde Lake. 3.5 acres of serene quiet lake. The cottage can include a fifth wheel RV as an additional Bunky for an extra charge. ATV Trail on the K&P is only a few KM's away. 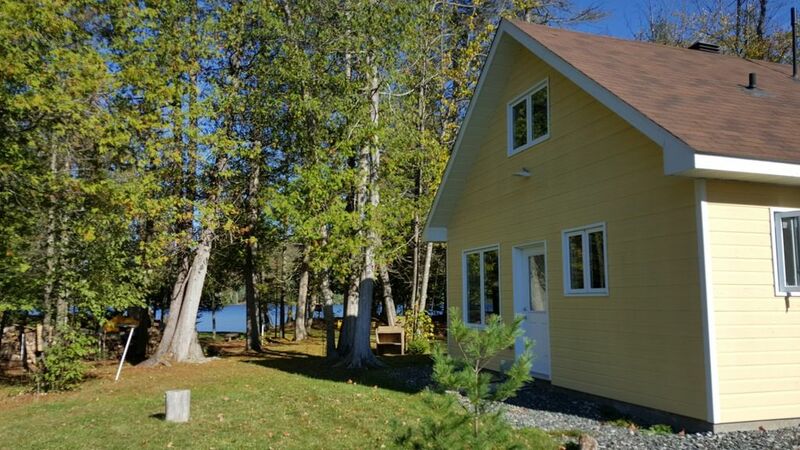 The lake is very quiet with few cottages and fishing is excellent. A sandy play area and swing is included for the children. Weekly only during July and August. Daily 2 day minimum rental. 3 day minimum rental on long weekends,. Rates include all taxes - Prices are in Canadian funds. We accept Interac Email money transfer. We are waterfront on Clyde Lake. 3.5 acres of serene quiet lake. The cottage can include a fifth wheel RV as an additional Bunky for an extra charge. ATV Trail on the K&amp;P is only a few KM&#039;s away. The lake is very quiet with few cottages and fishing is excellent. A sandy play area and swing is included for the children.